This baby and nursery checklist collection has been put together to help you, the new mom, to navigate the sea of alluring baby products floating around out there. Some are essential to ensure smooth sailing for you and your new baby, but there are many that you can do without, and still others that you should steer well clear of. I know how it feels to be a new mom. Only the best will do for your special baby, and you don't want to deprive him or her by not buying all the great baby products on offer. They all seem so useful. I can promise you, after four babies, I know for sure that there are some 'brilliant' baby items that you will barely use, despite what the marketing companies tell you. On the other hand, you don't want to bring baby home, only to realize that you don't have everything you should. Trips to the 24 hour drugstore are common. New dads search for forgotten pacifiers, bottles and diapers, while mom sits at home in a panic. Bottom line - be prepared, but smart. Make sure you have all the stuff you need, while steering clear of the fluff you don't. Your baby's safety should always be your top priority, but it's easy to overlook potential hazards or mistakenly purchase unsafe baby gear. Find out which baby goodies you should be buying and which ones are to be avoided. Which ones will help to keep your baby safe and which ones are downright dangerous! Your baby will spend around 70% or more of her time in the baby nursery during her first year. And, because the nursery is the only room in the house where your baby will be left unattended, it requires special attention when it comes to baby proofing. I can't even begin to tell you how much less stressful your life is as a new mom when you know your little one is safe. Non-essential items have been marked with an asterisk*. One of the decisions you will need to make before finalizing your layette list, is whether or not you intend to breastfeed your baby. Many new mothers seek information and reassurance about breastfeeding and the more you know before your baby arrives, the more confident you will be. loveyourbaby.com reaches out to mothers with the latest information about everything to do with breastfeeding. Do yourself and your pocket a favor and register your layette list. Check out The Land of Nod's fantastic gift registry. They have an awesome selection of gorgeous baby gear! There is so much baby stuff out there, you can't possibly buy it all, so where do you start? Check out my "top ten" new baby list to find out which products really worked for me. Only my absolute "can't do withouts" made this baby ckecklist. The journey of becoming a mother is exciting, exhausting, and (let's face it) expensive. Your emotions, your physical body, your pocketbook...all are on a roller coaster of ups and downs. The Essential Infant Resource exists to help moms navigate those first baby waves with confidence. Become the mother your infant needs, one step at a time. And Six More Baby List Essentials! My Top Ten New Baby List is so popular that I decided to extend it with these six items that I originally left out. The items on this new baby list are just as indispensible for baby and mom as the ten items on the first list. The purpose of the Baby Nursery Storage Checklist is to help you to allocate enough storage space for baby's things. Newborns do tend to need lots of little goodies! Based on the layette list above, the nursery checklist for storage allocates every item (including the non-essentials) a space, drawer or basket, in various rooms of the home. 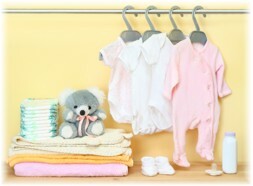 Go to our Nursery Storage Planning page, to find out how to accommodate all the baby stuff allocated to the baby nursery. The Nursery Furniture Checklist is a complete list of all the baby nursery furniture items available including mattresses. Please note that you do not need every item on this list, but it's nice to know what's out there before you start shopping! Click here for the five furniture essentials nursery checklist. Click here for unique nursery furniture space saving ideas. 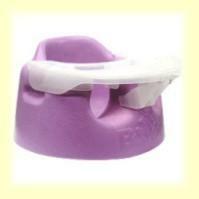 There are many baby nursery furniture options available on the market today. But you really don't need them all. 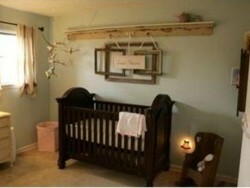 Check out this nursery checklist to find out what you really need in your nursery room. At last - something for mom! Use this handy baby gear checklist to make sure you have all the baby gear you need. Just print it out and tick off as you go. And remember, if you don't need it you won't find it on this list! The baby gear included on this baby checklist is the stuff that I really used over and over through my four little ones. If it was gimmicky or I didn't really need it you won't find it listed here. The Labor Bag Baby Checklist is designed to make your birthing experience a little less stressful. Make sure your baby has a safe and secure sleep. 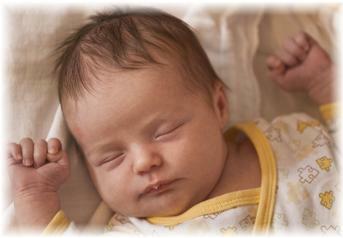 The items on the safe sleep baby checklist are the most important items to include in your nursery room. Nursery and crib safety not only protects your baby from injuries but plays a crucial role in the battle against Sudden Infant Death Syndrome, or SIDS. A diaper bag checklist listing everything you need to take with you when you go out with baby. Just print it out and tick off as you go! 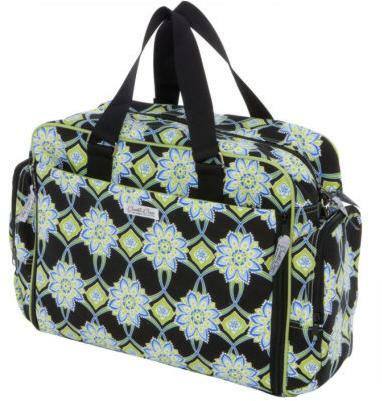 The best diaper bags have a changing pad included with lots of pockets for diapers, creams, wipes, bottles, pacifiers and everything else on your diaper bag checklist. For more advice on how to minimize chemicals, choose the most natural baby products and organic baby care methods, visit Organic Baby Resource. I hope you find this baby checklist collection helpful. I will be adding more baby checklists to this page over time - Please check back to see what's new!